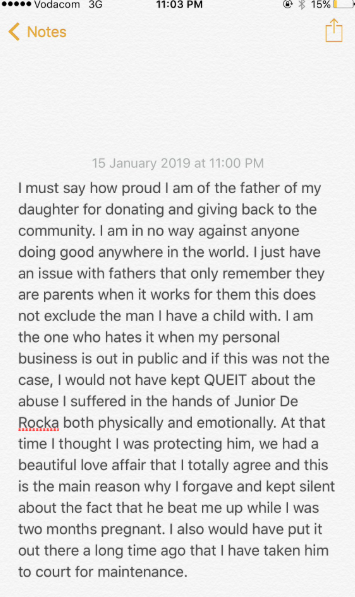 For couple of hours, we've seen the cons of co-parenting rear its ugly head again as media personality, Ntando Duma went head to head with the father of her child, DJ Junior De Rocka. The social media feud between the two began earlier this week after Ntando accused the DJ of being an absent father. 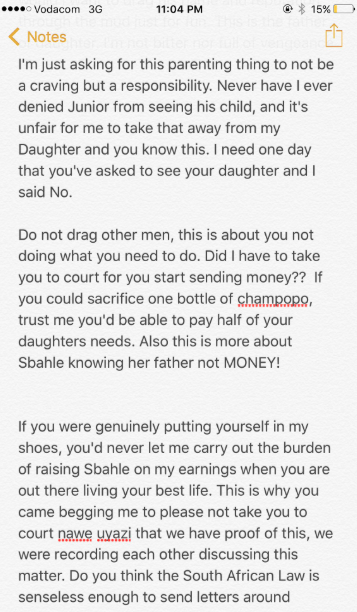 Ntando mentioned that Junior has come short several times when it came to paying child maintenance for little Sbahle - an accusation that Junior has since denied. Junior followed up with a long message on Facebook detailing that what Ntando said about him as a father was false and malicious. The DJ then posted screenshots of all the times he's paid child maintenance for their daughter. 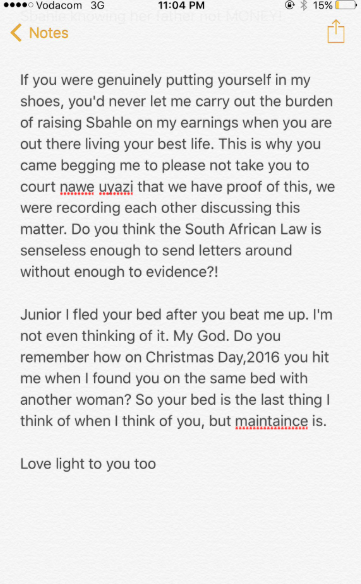 Ntando then retaliated by detailing how Junior has mistreated her in the past - from cheating on her, to even physically assaulting her after finding him in bed with another woman. Ntando has since deleted her previous tweets about Junior's actions and opted to write a detailed note sharing her story. 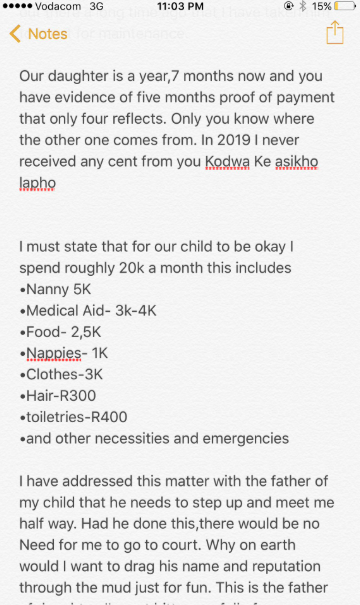 In the note, Ntando further stated that she spends roughly R20,000 for her daughter and that Junior had only shown five months proof of payment for their child's maintenance. Ntando shocked a lot of people when she also stated that Junior beat her up after she found him in bed with another woman. The Ntando and Junior situation sparked a conversation on social media about co-parenting and how difficult it is for some parents to see eye-to-eye when it comes to child maintenance. Even Pearl Thusi shared her thoughts about the situation even though she initially did not want to engage in the topic. I also chose to not get involved in the maintenance convo. Because wow. Even 9 years ago that didn’t even cover school fees. Let alone medical aid, nanny, nappies, toys.